Claiming the top spot this year was &Beyond Ngorongoro Crater Lodge, reestablishing an African property as the dominant favorite on the list. Jack's Camp rose to second from unranked, moving Singita Boulders Lodge down to third. 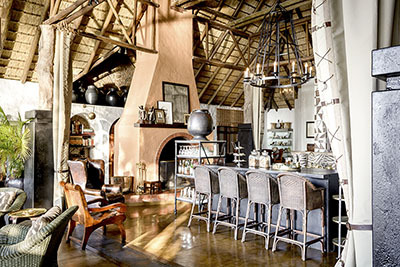 Six South African properties made the list including Gorah Elephant Camp, which ascended to fourth place from 18th. Once again, properties in the Galápagos and India also interrupted the string of African camps and lodges. 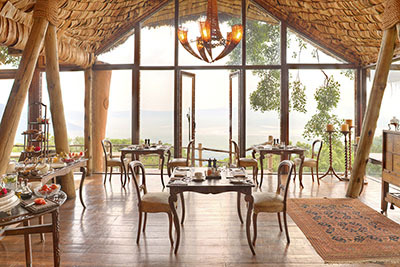 Ngorongoro Conservation Area, Tanzania — Exotic lodge perched on the 7,000-foot rim of the fabled crater. The enclave comprises 30 thatched bungalow suites whose ethnic exteriors belie grand interiors with silk drapes, gilt-framed mirrors and hand-beaded chandeliers. Each has a handcarved king bed, leather chairs and a private butler. Makgadikgadi Salt Pans, Botswana — Recently renovated unique, extremely well-run camp an hour by air southeast of Maun. Enormous canvas main tent lined by a voluptuous canopy of raspberry-pink cotton. Ten guest tents share this décor but are very comfortable, with en suite baths, indoor and outdoor showers and spacious verandas. 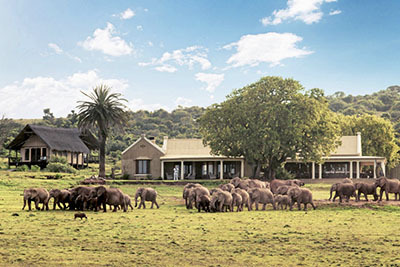 Addo National Park, South Africa — Stylish safari camp 90 minutes from Port Elizabeth in the center of the malaria-free Addo Elephant National Park, home to the world’s densest population of savanna elephant, as well as lion, leopard and rhino. 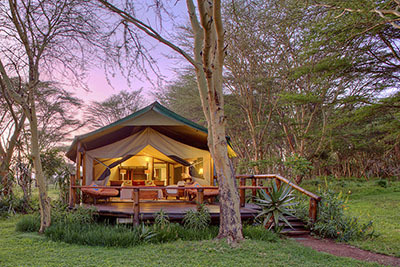 Eleven spacious tented suites have private terraces and plush interiors. 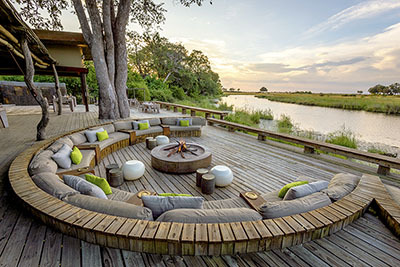 Moremi Game Reserve, Botswana — Lavish enclave facing a floodplain in an area teeming with wildlife. 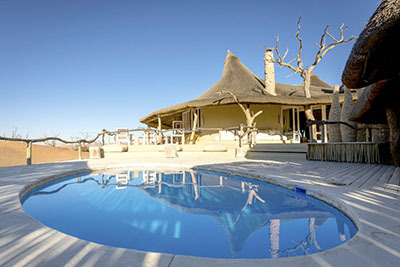 Two separate facilities are connected by elevated walkways: Mombo, with nine stylish guest quarters, and Little Mombo, with three. Raised on stilts, the fan-cooled tented suites have hardwood floors, private verandas and impressive baths. Nanyuki, Kenya — Four lavish, fully staffed and individually styled houses built along the summit of a ridge that offer commanding views. Heavy wooden doors open onto a private courtyard, off of which are situated a dining room/bar and the kitchen, which serves delicious food. Also a library, a small spa and a horizon pool. Vaalwater, South Africa — Eight atmospheric thatched cottages that overlook the Sterkstroom River on the 25,000-acre Shambala Private Game Reserve, a three-hour drive north of Johannesburg. The air-conditioned interiors are comfortable and spacious, while the adjoining baths provide glass-enclosed shower stalls and soaking tubs. 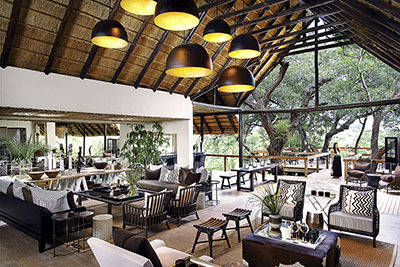 Sabi Sand Game Reserve, South Africa — Deluxe riverside enclave under a canopy of trees on its own private game reserve. 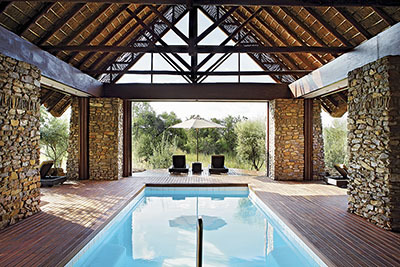 The five independent, family-run camps (totaling 32 chalets and suites) form the Londolozi Private Game Reserve. Each compound offers a swimming pool, well-equipped fitness center, elevated open-air lounge and decks. Santa Cruz Island, Ecuador — Stylish central lodge and nine safari tents located in a transition zone between cultivated land and the national park. 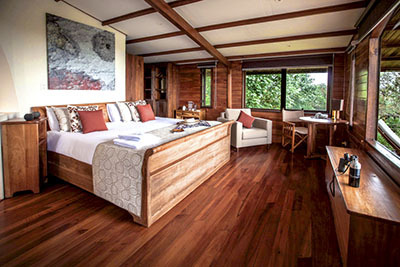 A glass-walled main lodge facing the Pacific includes a large log fire, teak dining table, cozy bar and lounge area. Small infinity pool; hiking, kayaking and diving excursions available. 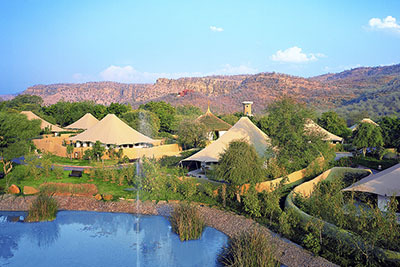 Ranthambore, India — Luxury 20-acre camp at the edge of Ranthambore National Park, a four-hour drive from Jaipur. Its 25 air-conditioned tents come with teakwood floors, sitting areas, embroidered canopies, four-poster king beds and luxurious baths, plus large furnished outdoor decks. Ravishing outdoor pool, fitness tent and spa. Hoedspruit, South Africa — Intimate and lavish safari lodge within the private Thornybush Game Reserve along the western fringe of Kruger National Park. 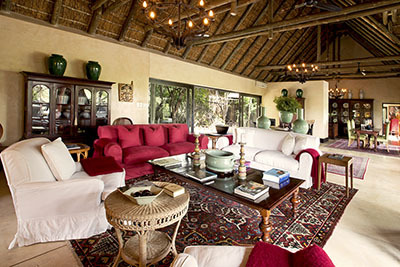 Open-air living and dining areas with vaulted thatched roofs are decorated with British Colonial-style furnishings. Elevated walkways lead to six freestanding suites featuring scenic decks. 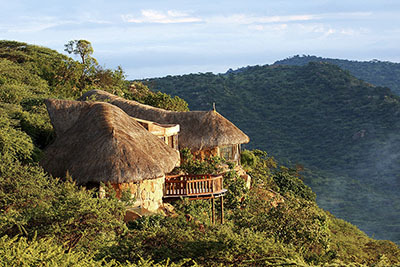 Meru National Park, Kenya — Traditional lodge in Meru National Park. Lodgings on the craggy hillside comprise six cottages, three Honeymoon Suites, a two-bedroom Family Cottage and the spacious two-bedroom Private House, with its own infinity pool. Excellent cuisine is served in an open-sided dining area covered with a thatched roof. 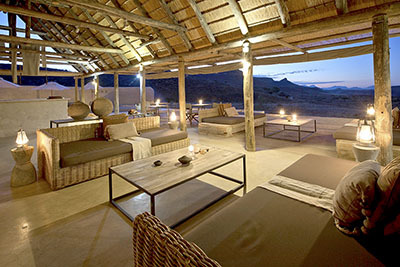 Kulala Wilderness Reserve, Namibia — Luxury camp of 11 air-conditioned thatched accommodations located in a 67,000-acre private reserve close to the dunes of Sossusvlei. Each villa has been constructed on a raised deck. Game in the desert is scattered, but on night drives, aardwolf, bat-eared fox and spotted hyena are encountered. Ranthambore, India — Wilderness camp at the edge of Ranthambore National Park, four hours by train south of Delhi. 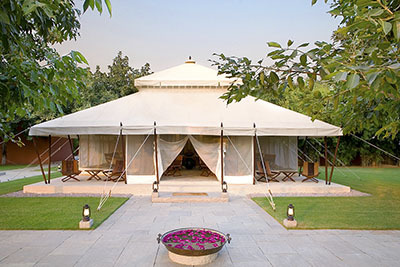 The fanciful tented enclave offers dining and library/lounge pavilions, plus 10 Mughal-style air-conditioned canopied lodgings. 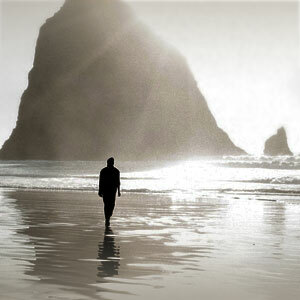 Wildlife-viewing by open-top Jeep, camel safaris. 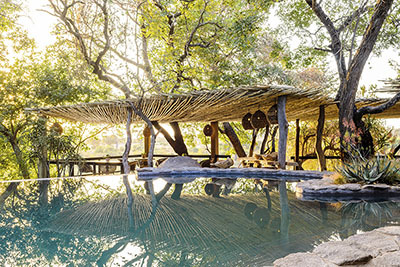 Torra Conservancy, Namibia — Distinctive camp comprises 10 large adobe-style thatched lodgings (including one family unit) in the Huab River Valley. 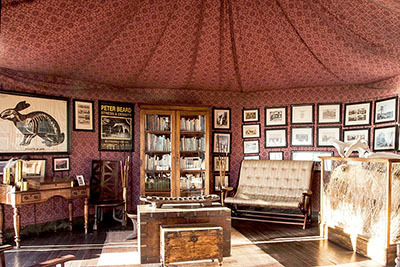 Each elevated, wood-floored tent offers a large viewing deck and an en suite bath with a shower. Safari vehicles take guests to view the famous desert-adapted elephant. Ruhengeri, Rwanda — Remote lodge set in a dramatic hilltop location at the edge of Volcanoes National Park. Property encompasses five stone cottages, two suites and one family cottage. 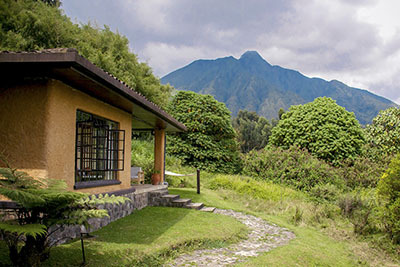 Activities include gorilla trekking, bird-watching, guided hikes and mountain biking. Guests over the age of 15 are welcome at Sabyinyo Silverback Lodge. 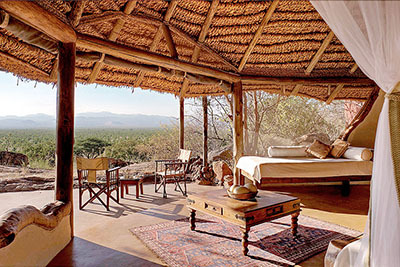 Lewa Wildlife Conservancy, Kenya — Sumptuous property with four elegantly appointed tents, a two-bedroom cottage and a self-contained three-bedroom house. Luxury Tented Rooms, mounted on decks, provide fireplaces and spacious baths. Visits to the Lewa rhino sanctuary, where guests can walk in the bush with baby rhinos. Okavango Delta, Botswana — Distinctive camp known as the preeminent place to ride African elephants, set on a 450,000-acre private concession in the heart of the Okavango Delta. Six elegant and individually decorated accommodations. Large game species are common at Abu Camp; the birdlife is prolific. 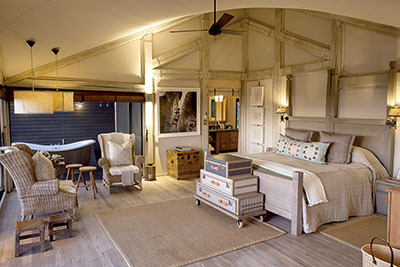 Sabi Sand Game Reserve, South Africa — Refined riverside enclave comprising 12 recently refurbished suites. Decorated in contemporary and indigenous styles, expansive air-conditioned rooms promote the feeling of proximity to nature with glass and canvas walls. Game drives take place in open Land Rovers; also guided safari walks. Linyanti Wildlife Reserve, Botswana — Extremely comfortable Kings Pool Camp overlooks an oxbow lagoon in the Linyanti Wildlife Reserve. Excellent wildlife-viewing and a large elephant population, especially during winter. 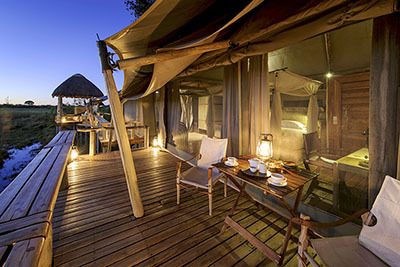 Raised walkways and decks surround nine spacious and comfortable thatched, canvas-sided tents (one family unit).